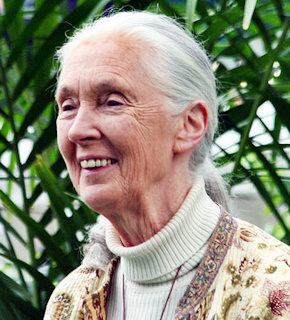 Jane Goodall (1934–) is a British animal researcher and conservationist, famous for her world expertise on chimpanzees, having studied them in the wild for over 50 years. Her groundbreaking research provided a unique insight into the life of these creatures – now known to be our nearest living relatives. Find out about this remarkable woman who has dedicated her life to the study and protection of chimpanzees, and use our printable resources below to test your knowledge. Jane and her younger sister Judy were born on the same day, but four years apart. Do you know anyone who has the same birthday as their sibling? Jane had lots of pets as a child, including dogs, cats, guinea pigs, caterpillars, snails and a hamster. Jane Goodall was born in Hampstead, London, in 1934. She grew up with her father Mortimer, an engineer, her mother Margaret, an author, and her younger sister Judy. When Jane was one, her father gave her a soft toy chimpanzee in honour of a chimp born at London Zoo. She adored the toy, naming it Jubilee, and her love of chimpanzees began. Jane’s mother encouraged Jane’s fascination with wildlife, and didn’t scold her for hiding in the henhouse (to see how eggs were laid) or for keeping worms under her pillow! When Jane left school, she trained as a secretary and later worked for a filmmaking company. Then, at 22, she was invited to a friend’s family farm in Kenya. Desperate to visit Africa to see its wildlife for herself, Jane moved back in with her parents and worked as a waitress to save for the boat fare. Jane made the trip the following year, and during this visit met the famous British animal scientist Louis Leakey. Louis was so impressed with Jane’s enthusiasm for Africa and its animals that he invited her to become his assistant. In 1960, Jane was sent to study chimps at the Gombe Stream Chimpanzee Reserve in Tanzania. It was unusual for a young woman to live alone among wild animals in Africa, so Jane’s mother accompanied her for the first few months. At first, the chimpanzees were wary of Jane and it was difficult to study them. But gradually they allowed her to live among them. Jane had no formal training so she did things her own way. She gave each chimp a name to reflect their appearance or personality – such as David Greybeard, Mr McGregor and Goliath. Within a year, Jane made two very important discoveries. She saw chimpanzees hunting and eating meat, when scientists previously thought they were vegetarian. She also watched chimpanzees using and making tools. They would remove leaves from twigs, for example, or catch termites to eat by sticking a piece of grass into a termite hole. Scientists thought only humans were intelligent enough to make and use tools. Jane also observed the chimps being kind and gentle, while others showed signs of aggression. They expressed human emotions, too, such as sadness, anger and joy, and had ways of hugging and kissing – or even tickling! Jane got to know the distinctive sound of their laughter. After two years, Louis suggested Jane study for a PhD at Cambridge University, so she could get more funding for the study. Despite having no university degree, Jane was offered a place and split her time between the UK and further research in Tanzania, gaining a PhD in ethology (animal behaviour) in 1965. In 1962, the National Geographic Society sent Hugo van Lawick, a Dutch photographer, to document Jane’s work. The pair fell in love and married two years later, having a son together in 1967 – also called Hugo, but known affectionately as ‘Grub’. 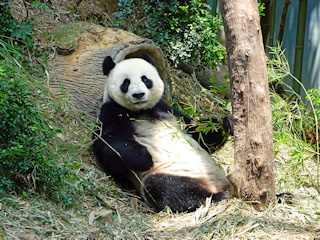 In the late 1970s, Jane turned her attentions to conservation and animal welfare. She founded the Jane Goodall Institute to promote habitat conservation and the protection of both wild and captive animals. She also educated young people about the importance of conservation for our planet and its creatures. Today, she is still found travelling the world, giving talks and sharing her knowledge. Jane has received numerous awards for her work, including a CBE (1995) and DBE (2004) from the Queen. She also has honorary degrees from nearly 40 universities in 15 different countries, in recognition of her research, and in 2002, was named a UN Messenger of Peace for her environmental work. 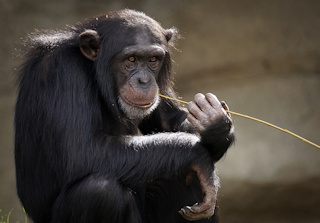 Scientists now know that chimpanzees share nearly 99 per cent of our DNA. Jane was the first person to recognise the intelligence of these wild creatures. Although now in her 80s, she still travels to Tanzania each year to enjoy time with the chimpanzees who have shared so much of her life. This interesting worksheet prompts the kids to do some research about a conservation organisation, then to write down everything they find. Can they find out about the animals they work with, the work they do and how they are funded? Jane Goodall has received many awards for her outstanding conservation work, but can you design your own medal for her commemorating her achievements? Sadly, many animals are now endangered on our planet. Do some research on an endangered species, then fill in the worksheet and draw a picture too. Get the kids thinking about conservation and practising writing skills too with our Habitat Conservation Letter Prompt. This fun 'I Can Help Wildlife' worksheet is ideal for younger kids with a cute hedgehog illustration and asks them to think of 4 ways they can help protect wildlife. Whether you are building up a library of our famous people booklets or using them in lapbook projects, our little booklets are a fun and different way to present your work. Here's a fun colouring page of Jane Goodall, holding a lovely chimpanzee, aimed at younger children. Print and enjoy. This comprehension worksheet is ideal for older kids and asks them to read about Jane Goodall and her work, then answer the questions at the end to show how much they have understood. Kids can learn some information about Jane Goodall and her work by reading our factsheet. Do some research on Jane Goodall, then write a little about her and why she is an inspirational woman on this worksheet. This worksheet asks the kids to imagine they are interviewing Jane Goodall. What do you think the audience would like to find out about her life and work? Do some research then write a newspaper article all about Jane Goodall, using our newspaper writing prompt and picture for inspiration. Use our notebooking pages to write about Jane Goodall. Notebooking page 1 has space for a drawing too. Kids will love this poster of Jane Goodall holding a little chimpanzee! "The least I can do is speak out for those who cannot speak for themselves." We've based this simple worksheet around this inspirational quote by Jane Goodall. Jane Goodall is the world's foremost expert on chimpanzees and has dedicated her life to studying these amazing animals. Use our story paper to write about Jane and her incredible work. Find out some facts about Jane Goodall, and add them to this timeline worksheet. We've hidden 12 words all to do with primatologist Jane Goodall in this wordsearch grid. Can the kids find them all? What can your children find out about Jane Goodall? This guided worksheet asks for some facts but also asks children to think about whether she is someone they would like to meet. The children can use this lovely writing paper to write about Jane Goodall, who is considered to be the world's foremost expert on chimpanzees. Here's a fun diary worksheet, with a lovely illustration of Jane Goodall holding a chimp! Can the kids write a diary entry for Jane Goodall describing how chimpanzees interact? Learn to draw Jane Goodall (and a chimpanzee too! ), with this fun step-by-step drawing guide. Use this newspaper report to write about a wildlife conservation issue. Do some research first about a particular issue, the write about it and draw a picture too - a great conservation-themed activity for older kids!